their strong foundation with us through our Catalystic Entrepreneurship project. We are continually in search of the innovative, passionate, and talented individuals across India. We are offering three opportunities here; Figure out which one is the best fit for you! We recognized that unemployment is the biggest challenge India is facing. There are many factors responsible for this. Government alone can't fight with it. We took a stand against unemployment. All of these factors are responsible for unemployment. The government has to balance everything to run a country. Due to this, it wants the contribution from all associated departments, institutions, industries, entrepreneurs, even people. 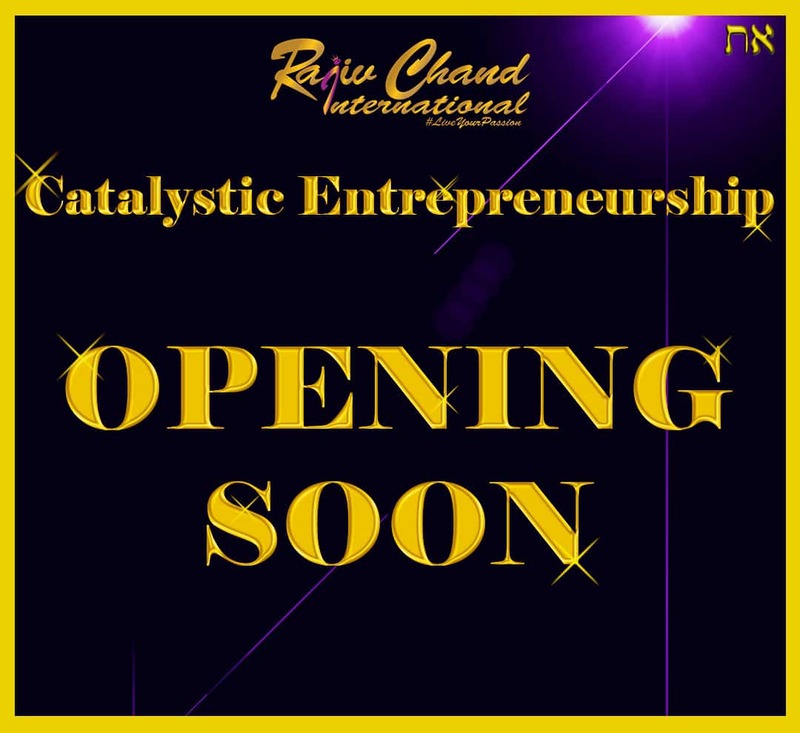 'Rajiv Chand International is passionately dedicated to mobilize, equip, & encourage young entrepreneurs, startups or businesses in the expert guidance of Rajiv Chand. At Rajiv Chand International we are committed to craft and hand-holding of our entrepreneurs to achieve maximum out of them with "available resources" around them. We are expanding our reach to aware maximum deserving aspiring talents of India by offering “Diversified Opportunities” to aspiring entrepreneurs/business people. Catalystic Entrepreneurship project is an initiative in this row! How We Are Executing It? We have a set pattern to execute "Catalystic Entrepreneurship Project" and to implement it effectively we are creating our own eco-system. It will finish our external dependency and control our operating cost. to build their strong foundation with us in our Catalystic Entrepreneurship project. 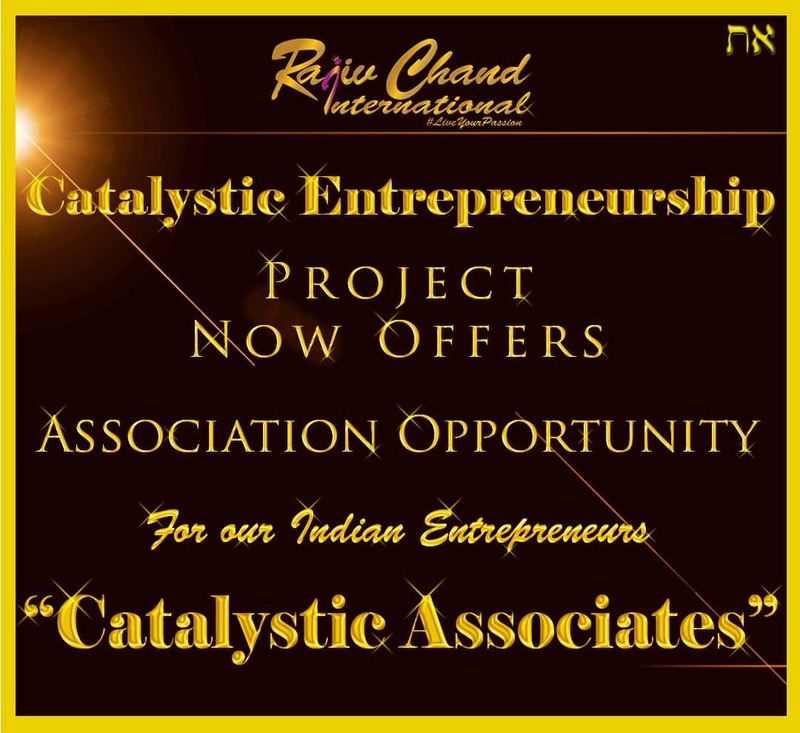 We are offering you an "Association-Opportunity" with us to create a powerful stream of income as an entrepreneur by contributing into the project Catalystic Entrepreneurship 'execution process'. Impact and empower your district! 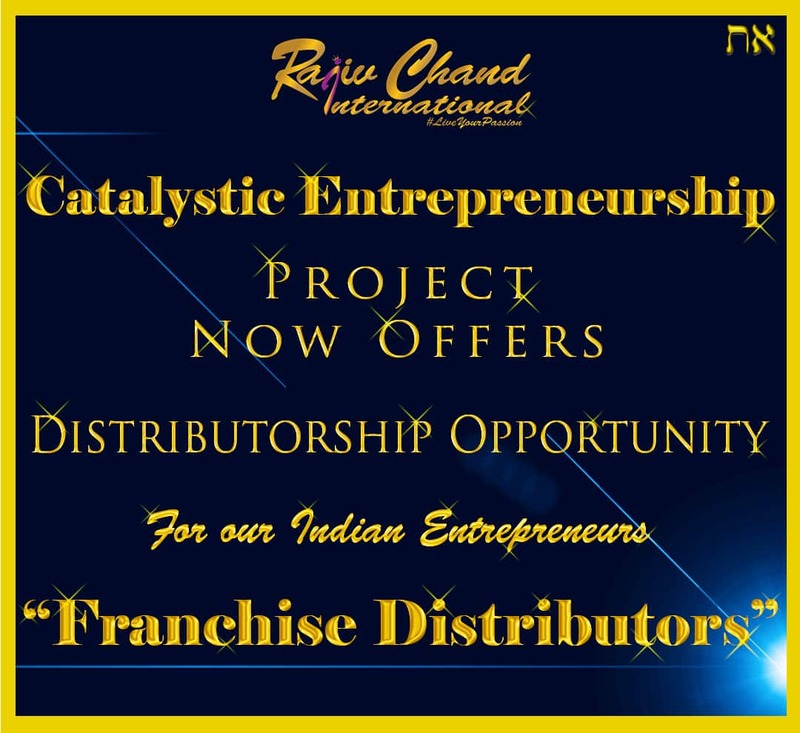 We are offering you a "Business Opportunity" with us to empower your district or state with our project and create a powerful stream of income by contributing into our 'franchise network'. We have Francises 1,22,700 to offer! We are providing you a "Franchise Opportunity" with us to empower, equip & mobilize local entrepreneurs with our project & create multi stream of income by joining our 'project'. "I am very much impressed! Rajiv has a soft spot for India; having accomplished those feats, I was expecting to see an old person. But he is such a young warrior." Our business and above mentioned "Business Offerings" are not a “get rich quick” schemes. Please read our disclaimer very carefully before taking any economic and business decision(s).